The Ehud Cycle is primarily concerned with forming a strong military force for a unified Israel under Jonathanian leadership by showing that Ehud was a Benjaminite hero. If you’d like a less technical overview, please check out my podcast episode on the Ehud Cycle. If you’re not familiar with the Northern Book of Judges and it’s cycles, be sure to check out all of the podcast episodes in that series. I used Tzemah Yoreh's work as the basis for my Northern Book of Judges Source. 7. because the Israelites [did not have a Benjaminite] at their head. 1. The opposing narrative doesn’t seem to have an issue with the Israelites overcoming the Moabites. The point of contention was who was the deliverer. It seems that Ehud was already a known character, so most of the contention will happen around what tribe he was from. N will push hard to say that it was Ehud was a Benjaminite since the kingly line of Jonathan was from that tribe. 2. 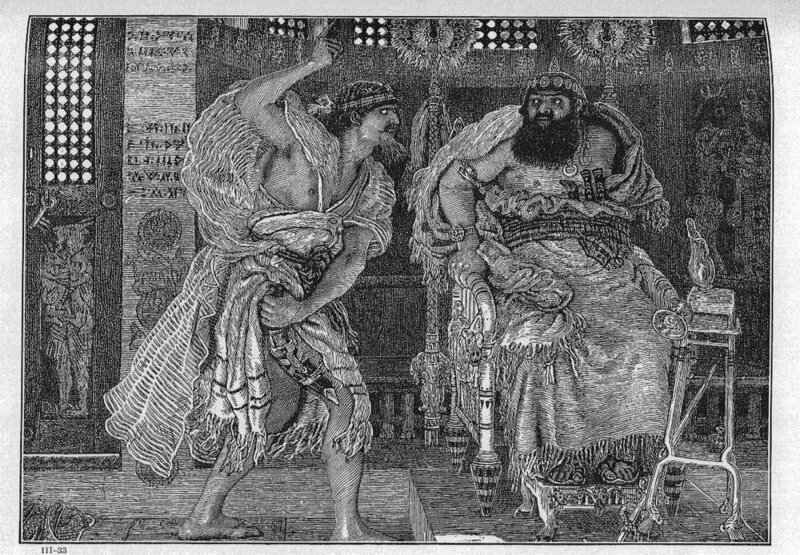 The opposing narrative agrees that Ehud paid tribute to King Eglon but argues that there is no evidence that Ehud assassinated the king. N explains this by having Ehud commit the perfect assassination: no murder weapon, no witnesses. It’s not even clear that the Moabites knew that the king was assassinated, only that he died. 3. The special sword that Ehud fashioned is swallowed up in the king’s fat. 4. Those that went with Ehud to pay the tribute had no knowledge that Ehud assassinated the king. They had returned with Ehud to the sculptured stones (possibly a rendezvous point before the journey) without any event. N explains that Ehud went back to the king after he had returned to the sculptured stones. 5. N is obviously pro-Benjaminite throughout his narrative since the kingly line of Jonathan hailed from that tribe. N shifts Ehud’s tribe of origin to make him a Benjaminite. One of the ways that N supports that Ehud was a Benjaminite is by having him be left handed and making that a critical aspect of the assassination. Benjaminites were known to be left-handed, although more in the sense that they were ambidextrous, giving them a distinct advantage in combat...and assassination attempts. Block, D. I. (1999). Judges, Ruth (Vol. 6, pp. 160–161). Nashville: Broadman & Holman Publishers. 6. The trumpet sounding in Ephraim could infer that Israel’s deliverer was an Ephraimite. This makes sense, in that the tribe of Ephraim was head over Israel before the tribe Benjamin (see The Elohist - Joseph Cycle). N solves this issue by having Ehud travel to the hill country of Ephraim. 7. The opposing narrative said that Ehud was an Ephraimite and would not have been at the head of the Israelites if he was a Benjaminite. After spending much of the narrative showing how Ehud was a Benjaminite, N now describes him as head of the Israelites. 1. N uses the term Elohim and Yahweh interchangeably, showing that Yahweh is the God (Elohim) of Israel. 1. [King Eglon of Moab] went and defeated Israel; and ... took possession of the city of palms. 1. Both N and the opposing narrative seem to agree that the Moabites defeated the Israelites and took the City of Palms (Jericho). 2. N is concerned with forming a strong military force for a unified Israel. In order to get Israelites to want to join that military force, N shows that Israel can win battles, and that Yahweh is a strong war God. N says that the only reason the Moabites defeated the Israelites was because Yahweh had strengthened the Moabites, but when the Israelites cried out to Yahweh, He provided military strength for Israel. N also says that the Moabite were in alliance with the Ammonites and the Amalekites, thus making it harder to defeat the Moabites. It’s N’s way of making excuses. The Israelites kill about ten thousand of the Moabites, all strong, able-bodied men; no one escaped. N is clearly trying to signal that Israel can be a military power.